FODI is an impressive product that is made of thin fiber which can be shaped to form different stands. It is so thin that it fits inside a book as a normal page and is multipurpose. Want to watch a movie? Take down notes? Play a game? just fold the FODI and use it as a stand. 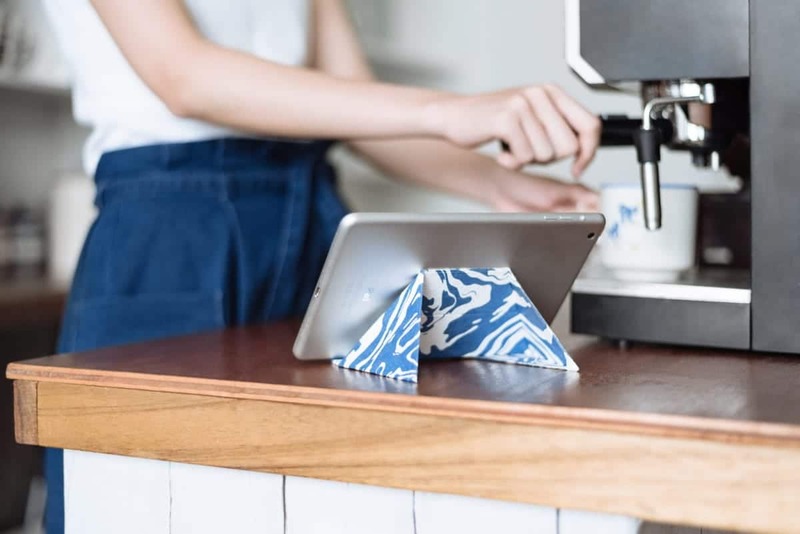 This Origami Stand is Mind Blowing!!! FODI comes with 2 magnetic buckles – in 2 different sizes so they will fit all charging cables. They come on and off easier, absolutely no glue or tape needed! Buckles get rid of tangling and it holds the cable firmly, making sure you don’t drop it! The powerful buckles can also pin memos and note to the FODI when you are not recharging. Multitasking just like FODI itself. Made with environmentally-friendly fiber paper, FODI is water and stain-resistant, which means you can easily clean it. There’s no hassle, even if you accidentally spill your coffee all over your desk! FODI is not only good for your health, but can also improve your device’s condition. By increasing space between your laptop and the surface, FODI improves the natural convection of air, thus reducing the risk of overheating.